Though digital marketing dominates headlines, event marketing remains the indispensable mainstay of brand promotion and lead generation across industries and company sizes. According to recent research, live events remain the top lead generation source for B2B marketers. Writing in Forbes, John Hall contends ” the power of face-to-face interactions in strengthening connections is lost in the sea of statistics around social media growth,” noting events offer unique business benefits such as building trust, making the brand more approachable, and offering a unique customer experience. Meanwhile, consumer event marketers value the opportunity to create one-on-one engagement, bring their brand messaging to life, and share memorable experiences. Big Expectations from Rusty Tools? Yet while the universe of marketing tools is exploding, with popular digital marketing disciplines continuing to draw new entrants (for example, there are now more than 200 different marketing automation platforms available), event marketing technology fails to keep pace inside many organizations. It’s not unusual to see event marketing groups managing processes using spreadsheets; legacy platforms not built to work with today’s more modern cloud and on-premises applications; or disparate point solutions which may not be properly connected and each of which has a different look and feel. Ideally, event teams should have tools that take the drama out of scheduling and execution by managing the end-to-end workflow from planning and logistics through registration / lead capture and follow up, whether for a single large event or a busy calendar of smaller regional happenings. Fortunately, there are established and emerging tools that can help event marketers operate more efficiently, keep pace with expanding expectations for measurement and ROI, and integrate with in-place CRM and other systems to fully capitalize on the value of events. Which system is best for your company depends on several factors, including company size (the best system for a small company that participates in a handful of trade shows and conferences each year won’t work for a global enterprise) and industry (certain industries have unique event management requirements, such as support for ride & drives in the automotive sector). – Comprehensive functionality: the software should enable end-to-end event management, yet be flexible enough to work the way you do. – Integration: your event management platform should connect to other key systems in order to minimize duplicate data entry and manual processes. These include reporting, finance, CRM, and sales automation applications. – Scalability: particularly for growing midsize companies and larger enterprises, the software should scale easily to support the size and frequency of events your team manages. – Customer support: “expect the unexpected” is a cliché almost invented for event managers. Flights get cancelled, shipments get misplaced, reservations get mixed up…things happen. Even the best software is of limited value without a dedicated, responsive support team backing it (and you) up. – Mobile functionality: events are, by their nature, remote. Your event management software should support your needs wherever you and your attendees on any device. Software rating sites like Capterra, G2 Crowd,. GetApp, Software Advice, and TrustRadius are helpful for evaluating many types of marketing technology. However, as a group they offer limited coverage of the event management tools space. Composite scores are thus shown below only for tools listed on four or more of the top eight ratings sites. Vendors are listed in alphabetical order. A broad-featured tool for small to midszed companies, Attendease provides functionality for registration with promo codes, event email marketing, mobile apps for attendees, event-specific website development, event portfolio management, attendee tracking, and surveys. Customers generally praise the ease of use and API integration, though some report issues with the website design capabilities. A midrange solution that gets respectable ratings with a combined score of 9.15 out of 10 (based on four of the top eight review sites). Users praise its broad functionality (event website builder, registration and ticketing, agenda management, surveys, event marketing and promotion through email and online ads), particularly on the front end of the event management process. Users generally applaud the broad feature set of this event management platform for midsize and larger businesses, particularly the dashboard, custom reporting, registration, accommodation management, travel module, and native mobile app. Some users though found parts of the application “clunky,” and HTML skills are recommended to take full advantage of the design capabilities. An end-to-end, cloud-based event management platform for midsized and larger companies, with capabilities for venue sourcing, registration, event website building, event promotion, surveys, budget and project management, room management, and a native mobile app. Users generally give accolades to the feature depth and integration capabilities, and the product gets a combined review site score of 8.64. Criticisms tend to be customer-specific (e.g., email deliverability, attendance limits) rather than broadly reported issues. Event Suite from ExhibitForce provides lead capture and registration, budget tracking, project (task) management, staffing / team management, and bar code tracking for your booth, equipment, and exhibit materials. It also includes a dashboard for results measurement. EventMobi is a tool for creating customized event apps for registration, session agendas, gamification, polling and surveys, and event analytics. It supports single and recurring events. User feedback is generally highly positive, with a combined score of 9.3. “Cons” were mostly user-specific and centered around setup and the need for technical skills to fully utilize the capabilities. Build event websites and registration pages; monitor registrations, attendance, and other data through a dashboard; produce badges and mobile check-in; integrate data with other systems; create workflow rules; send and track event-related emails; and conduct surveys. Users generally praise the broad functionality. A few noted the learning curve associated, though that is common across complex products. G2Planet offers separate event management suites for running very large events (EventMAX), coordinating a busy event schedule (EventCENTRAL), and a dedicated version for the automotive industry (EventAUTO). All support event strategy and planning, staffing, integration with CRM and other systems, event marketing, registration and lead capture, agenda creation, speaker management, payment processing, room booking, badging, surveys, and reporting. The service and pricing model make this most suitable for larger midsize firms and large enterprises rather than smaller companies. Meeting management software with capabilities for content management (call for papers, speakers), task management, exhibitor and sponsor management, staffing, schedule / agenda builder, and mobile apps. The company was founded in 2012. The two largest vendors in event management merged in late 2016, so it will be interesting to see how the two giants merge their operations and product lines. Cvent Event Manager is a technologically mature full-featured, end-to-end event management platform. Users generally laud its comprehensive functionality, though reporting limitations and complexity are common complaints. The software scored an average rating of 8.61 across seven popular review sites. An event marketing platform focused on workflow management and using attendee data to drive personalization, insights, and engagement. Like Hubb, RainFocus is one of the newest entrants to the event management space, founded in 2013. WebEvents Global offers a cloud-based system for registration management (badging, check-in, payments), email marketing, content management (call for papers, session planning), exhibitor / sponsor management, and housing management / room booking. 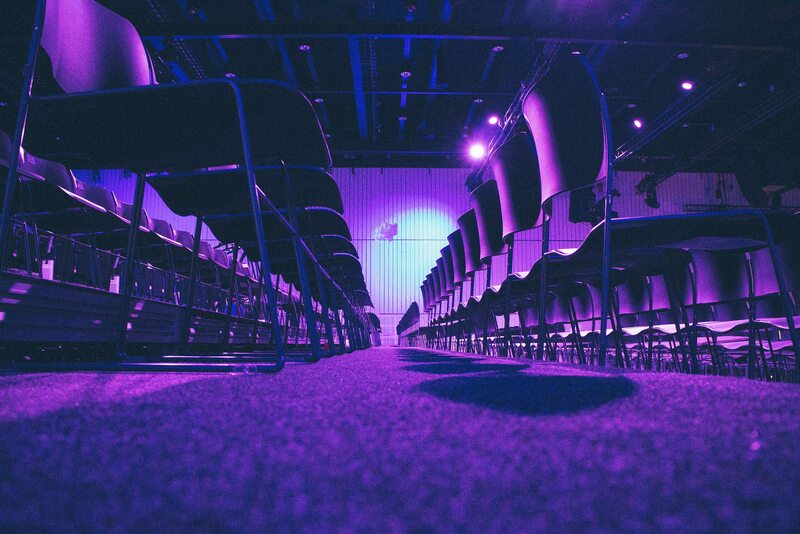 Is your event management technology up to date? Does it support your overall marketing strategy and processes (rather than being stuck in a “silo”)? If not, one of the tools above may help your event marketing processes to run more smoothly while providing greater value and insights across your organization. Thanks michael , as a marketing service provider these tools are really useful in my event marketing campaigns.